As a "Premium Sauce", Spicy Three Meat is definitely lacking a certain je ne sais quoi. What, precisely, is the customer paying the extra dollar for? In Roasted Mushroom sauce, the answer is explicit. It's right in the title. You pay a dollar for roasted mushrooms. Why, however, is the spicy three meat sauce premium? Is it the spice? The extra single meat when compared with the free meat sauce (itself being comprised of two meats)? The pricing structure of the sauces is baffling. 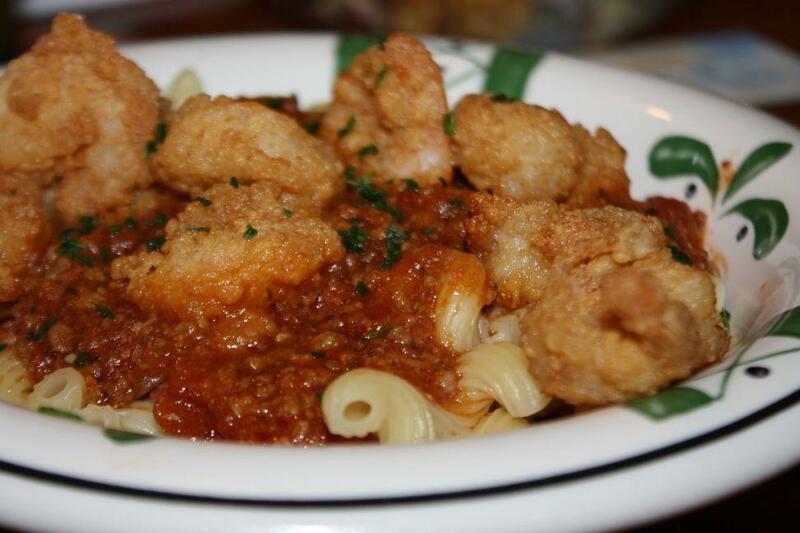 Marinara is free. Add two meats to it make Meat Sauce, also free. Add one more meat - whoa! Hold on there, sparky! That'll be one dollar for your bacchanalia of unadulterated protein! Pictured here is Cava-Topping, and despite my whining, it's worth every cent.